Silly Twits. Don't they know anything about women's bits after the menopause? Cripes, I thought I was onto something new as a prophetess of what really happens during the Menopause. Listening to Sunday on BBC Radio 4 this morning, however, it seems God got there first. Radi0 4, as you probably know, is currently marking 400 years of the King James Bible, and this morning’s first readings were from Genesis. Chapter 18 verse 18, beautifully delivered by Samuel West, really caught my attention when God tipped up unannounced (for a change) with two mates for lunch with a very elderly Abraham. After much panic, ordering around of wife Sarah (also stricken with age, who had long since ‘ceased to be after the manner of women’), killing of calves and making of bread, etc, followed by the munching thereof, God asks where Sarah is. 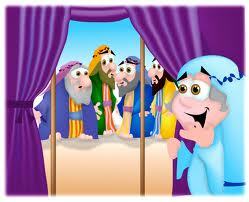 ‘In the tent,’ says Abraham, thumbing at it over his shoulder. I imagine after all that running about Sarah had just enough strength to flop against the tent pole at the entrance. Even so, she couldn’t help but hear the Lord pronounce to Abraham that she was to have a baby. Nothing more is said about the incident for the moment, but I can understand why Sarah was so scared. I would be too. The thought of having a baby at that age is bad enough, but to beget the damn thing means … I hope she didn’t have vaginal atrophy. This entry was posted in All posts, Menopause and ageing. Bookmark the permalink.